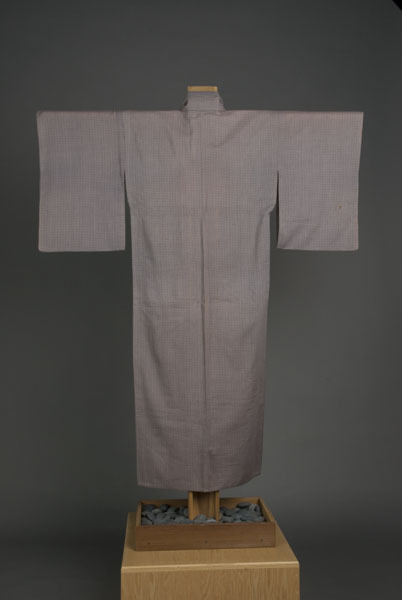 1 kimono : wool, cotton ; 56.5 x 24 (center back) in., sleeves 21.5 x 12.5 in., collar 4.5 in. Fine, light-weight, muted lavender wool kimono with tiny white grid pattern and dark purple plus (+) mark pattern. Gray cotton lining in collar, front and back shoulder area, and center back seat area. 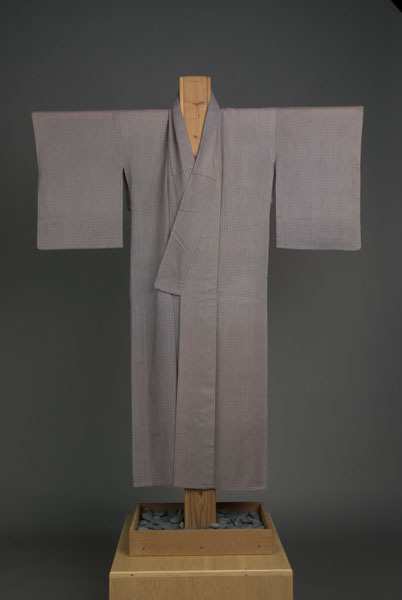 Dressy kimono worn by Matsu Oyama.